Reduction up to 100% off volume. Reduction for blond hair up to 100% off volume. Reduction up to 70% off volume. Wash your hair with Clear Shampoo to eliminate all impurities from your hair, gently massaging it. Repeat if necessary for 2 or 3 times until your hair are free from debris, leave it for 5 minutes and rinse it off. 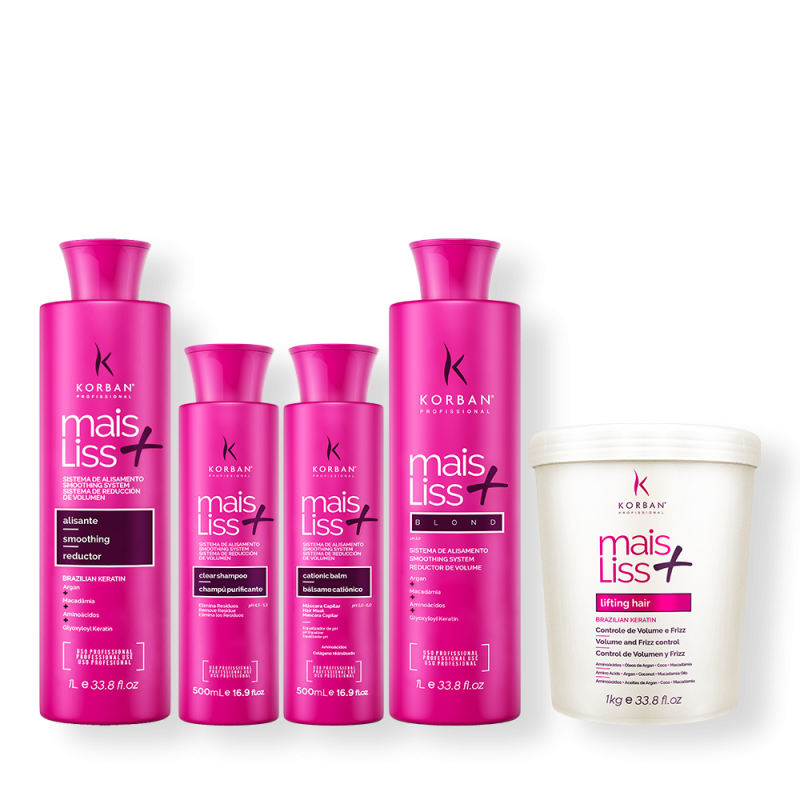 Then use the Mais Liss Hair Smoothing. 1- Wash the hair with deep cleansing shampoo, dry it with the dryer, aligning the threads with just your fingers. distribution of the product. In hair with chemical leave to act for 20 to 30 minutes. In tough hair the indicated rest time is 40 to 50 minutes. 3- Rinse off all product from the hair. Fully dry the hair with the help of the dryer. is aligned; in case you want it the hair can be moisturized after the procedure. Wet hair and apply a necessary amount throughout full hair extension. Massage your hair, letting it act for 5 minutes. Rinse abundantly, then dry and finish as usual.